Memory Card Files Undelete Utility 3.0.1.5 - Download Win Apps. 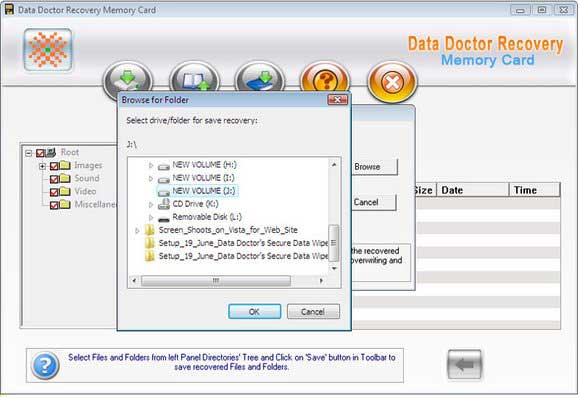 Memory card data retrieval utility recovers deleted documents songs music images. Memory card recovery software recovers audio, video songs, mp3, mp4, m4a music of iPod. Data retrieval program rescue accidently deleted required files and folders. Files undelete tool retrieve jpeg, mpeg pictures, and images of digital camera. This utility gets back your essential and important documents like clips photographs from compact flash card. Application supports all storage media like SD, XD-picture, smart media and memory stick duo.